There are plenty of advantages to the 2019 Honda CR-V, from its spacious interior dimensions to its capable performance. But it’s the Honda CR-V resale value that makes it such a smart investment for Kamuela and Waiomea drivers. In fact, compared to the Toyota RAV4 and Nissan Rogue, the Honda CR-V offers greater resale value, depending on the trim you select. 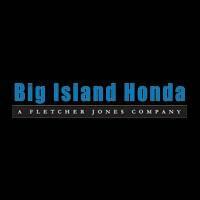 Learn more about Honda resale value from Big Island Honda in Hilo & Kona! Enjoy Long-Lasting Honda Resale Value with the CR-V! Are you ready to finance your own Honda CR-V SUV? Schedule a test drive at Big Island Honda, located in Hilo and Kailua-Kona! Our talented sales and finance teams are on call six days a week and will help you get the best lease deal or finance rate on a new CR-V.